The SmartBob II Remote is a proven, reliable level measurement system using cable-based sensoring technology. Combined with the powerful eBob software and remote control consoles, SmartBob II offers the strongest and smartest cable-based inventory measurement system on the market today–with the ability to manage from one up to 255 bins with heights up to 150 feet. SmartBob II can be uniquely configured using a variety of cables, probe designs, and special options for solid, slurry, brine, and liquid applications. Long-lasting, hassle-free service is ensured by SmartBob’s cable cleaning system. SmartBob II is extremely rugged, featuring the industry’s strongest cable and motor design completely sealed in a strong, lightweight molded polycarbonate enclosure which is explosion proof and rated for Class II, Groups E, F & G certifications. Requiring no field calibration, SmartBob II is easy to install, needs minimal wiring, or can be used with the SmartBob wireless transceiver. 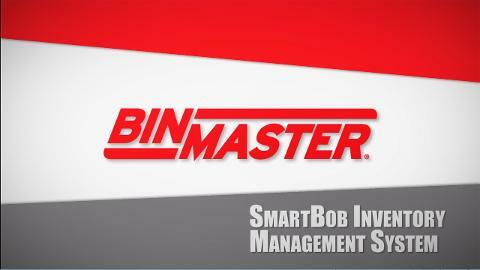 automate level measurement of powders and bulk solids with a SmartBob inventory management system.